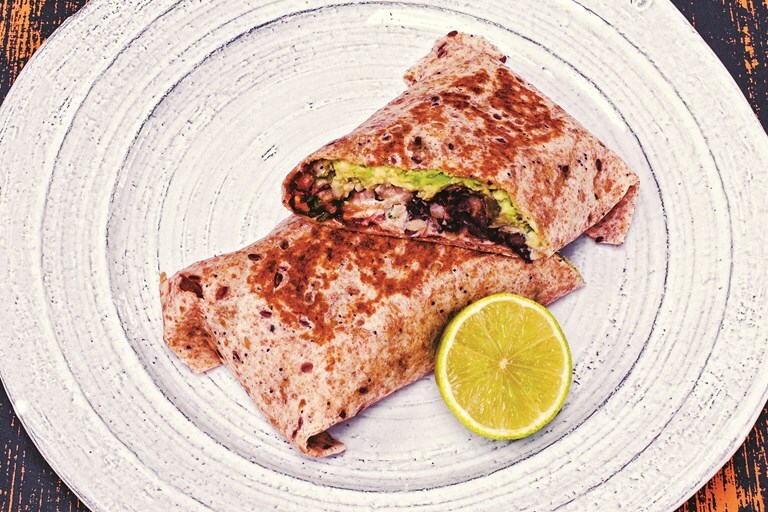 David and Charlotte Bailey's vegan burrito makes a wonderfully hearty lunch to eat on the go, or would work equally well as part of a Tex–Mex feast – simply scale up the salsa, sour cashew cream and guacamole recipes to serve on the side with corn chips or sweet potato wedges. 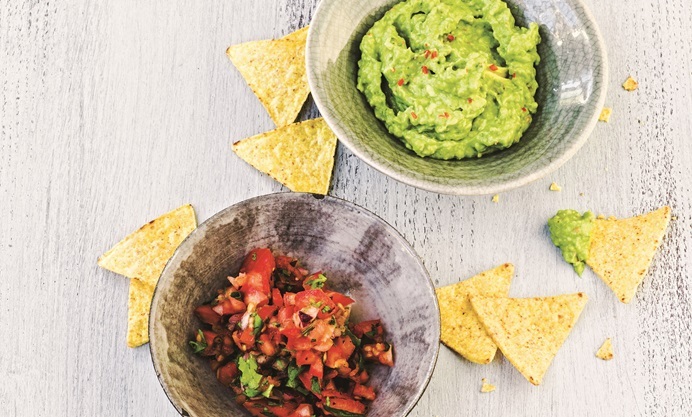 With refried beans, brown rice and a spicy chipotle chilli sauce, this fantastic vegan recipe can be easily customised to add your favourite additional toppings and fillings. An ingenious Mexican-American dish, the much-loved burrito is an easy-to-make, easy-to-eat dish. Distinguished from a taco by its size and by the fact that it's wrapped to enclose the filling, you can't beat it for a hearty lunch. Our Whitecross Street neighbour, Luardos, does a mean veggie one from its van. The popular burrito bowl is an ideal way to enjoy this dish for those avoiding wheat and gluten. Simply serve all the components in a large bowl instead of a wrap; we love to add some corn chips on the side.